ASUS now rolling out OREO update on Asus ZenFone 3. The latest Oreo update direct link is now available for Asus ZenFone 3. The latest WW_15.0410.1712.31 Oreo update is rolling out via OTA on ZenFone 3. So, today we share how to download and update Asus ZenFone 3 Oreo ROM. If you want to install latest ZenFone 3 Oreo ROM then you are the right place. 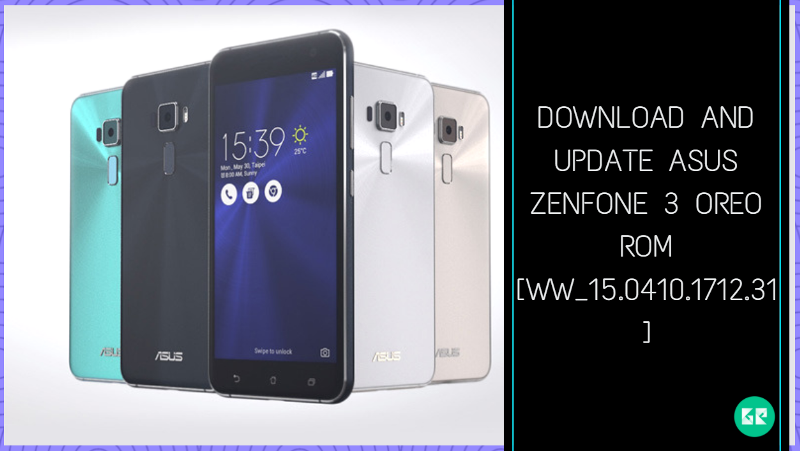 Download ZenFone 3 Oreo ROM (WW_15.0410.1712.31) from below. This WW_15.0410.1712.31 update is available for ZenFone 3 ZE520KL variants. This update is stable version and soon will roll out via OTA on your device. This update comes with build number 15.0410.1712.31. Let’s go to the instruction and download and update Asus ZenFone 3 Oreo ROM to latest version security patches. This OREO update brings lots of new features and latest android January 2018 security patch. Also, this ZenFone 3 Oreo ROM comes with many bug fixes.if you want to update Asus ZenFone 3 then let’s go to the instruction below. Make sure that your ZenFone 3 ZE552KL running on WW-14.2020.1712.85. Download ” 15.0410.1712.31.zip OTA ” file from the above-mentioned link. Now rename the file name ” 15.0410.1712.31.zip OTA“. Then select to install the OTA.zip, which you downloaded before. Now, you have to copy the above 15.0410.1712.31.zip Full file file to the ADB installation directory. For a more latest update please like our social pages and subscribe newsletter.